What a fantastic place to stay. The welcome when we arrived, the quality of the accommodation and the staff, especially Edmond was superb. 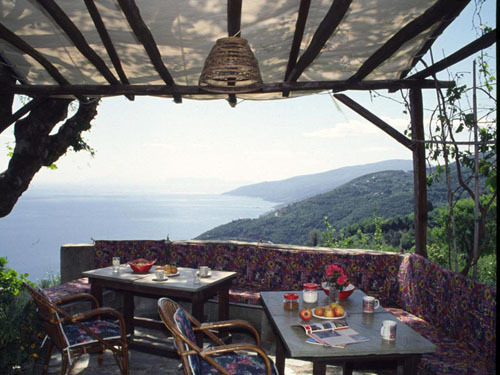 The food was wonderful and the views from the property were exceptional. Highly recommended. 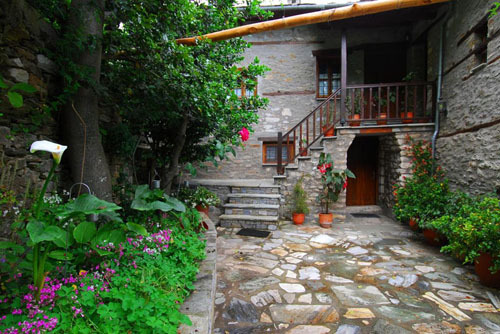 The house is simply beautiful, very tastefully decorated and modern inside. Breakfast was fantastic, every day a different Greek speciality was prepared, and we could have it in the garden. Το Tampakeika Hotel προσφέρει επιπλωμένα δωμάτια και διαμερίσματα με μπαλκόνια που παρέχουν υπέροχη θέα στις κορυφές του Πηλίου και στο Αιγαίο Πέλαγος. Κάθε δωμάτιο είναι εξοπλισμένο με τηλεόραση, DVD player, κουζινούλα και ψυγείο. Μερικά από τα διαμερίσματα έχουν επίσης τζάκι. The apartment was lovely, central to restaurants, shops and the beach. 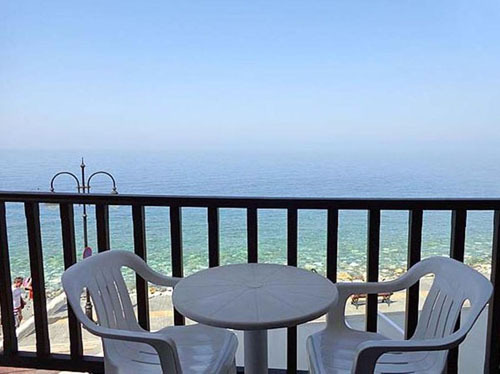 We enjoyed the balcony view of the sea. The couple that ran the apartments were lovely and couldn't help us enough. The apartment was clean and a good size for 3 people. The free parking was also a bonus. I would highly recommend a stay here. Περάσαμε αξέχαστα στον υπέροχο ‘Ελαιώνα Βεργόπουλου’! Η διαμονή στα φινετσάτα σπιτάκια ήταν καταπληκτική! Η διακόσμηση των πεντακάθαρων σπιτιών προσεγμένη και στην παραμικρή λεπτομέρεια, με αγάπη και φροντίδα. Οι οικοδεσπότες ευγενέστατοι, φιλικότατοι, πάντα πρόθυμοι να μας εξυπηρετήσουν, κάνοντας τις διακοπές μας άνετες και νοιώθοντας σα στο σπίτι μας. Η βαθμολόγηση του 9,6 είναι λίγη για την άριστη ποιότητα του καταλύματος που αξίζει άριστα 10. Ευχαριστούμε για την όμορφη διαμονή! Θα σας ξανάρθουμε σύντομα! 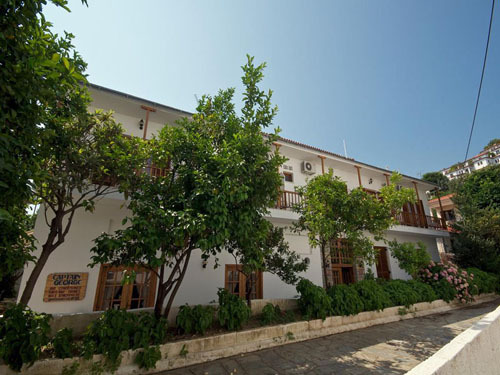 An exceptional boutique hotel with excellent service and hospitality. Lena & Dimitri (the owners), are the nicest people you'll find in Greece. The best breakfast you can imagine. Lena is an excellent cook and it is recommended to stay for dinner as well. Very very recommended place! First of all I have to say that we know Greece very well but the Pilion region is something special. And the best place to stay there is the beautiful lions nine. Anna and Nikos, the owner are amazing people. Real friendliness and true warmth. From the first day on we found a second home. The apartment was very well equipped and the interieur was high quality furniture - Anna is a decor queen!! Everything was extremly clean - every day of our two weeks stay. We enjoyed the delicious breakfast served by Nikos on the balcony. Annas apple pie was outstanding and we liked Nikos eggs ? The view was amazing. To the left the mountains to the right the deep blue sea. Words are not enough - see, feel and enjoy your stay at lions nine! 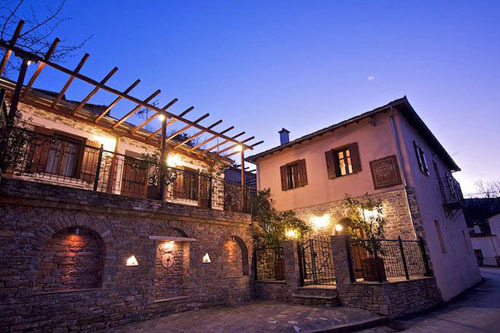 Probably one of the best places to stay in Pelion. For sure the best one that we stayed in. 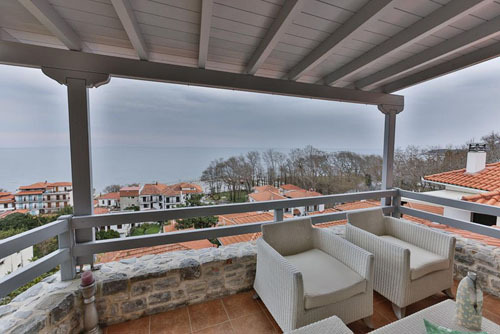 Amazing views to the sea from the bedroom (not all of them, but our's had). Very kind and helpful people managing the house. Excellent breakfast. Beach directly in front of the hotel with sunbeds and sunbrella. Very friendly staff. Half board: good and tasty breakfast, tasty greek cuisine with great variety of excellent food for dinner, more than you can eat. Very well spent relaxing beach holiday. Nice location of the house surrounded with a big garden. Very steep and narrow path leads to the parking in front of the house (a bit tricky if you have a big car). Splendid view from our balcony and a shared terrace with a natural shade and the barbecue. Clean apartment. Friendly owners and a pet friendly house. Property is extraordinarily picturesque, tennants are extremely friendly,helpful and welcoming, breakfast is amazing, the rooms are spacious, clean and feel like home. Great place to spend your holidays!!! We will definitely be back soon!!! Great hospitality, clean, near beaches. Το κατάλυμα βρίσκετε στο ιδανικότερο μέρος του Πηλίου διότι είναι πολύ κοντά στην θάλασσα αλλά και πολύ κοντά στα Χάνια. Έχει ένα υπέροχο τεράστιο μπαλκόνι γεμάτο λουλούδια με θέα την θάλασσα. Ήταν πεντακάθαρο και τα δωμάτια ευρύχωρα. Σχεδόν κάθε μέρα η κα Δήμητρα μας κέρναγε πίτες και γλυκά. Ένα πραγματικά υπέροχο δωμάτιο που το προτείνω ανεπιφύλακτα σε όλους. Η ησυχία, η ανεξαρτησία, ο περιποιημένος και καθαρός χώρος στο σπίτι και την αυλή καθώς και η αίσθηση οικειότητας που σου δημιουργούν τα παραπάνω. Το σπίτι είναι πλήρως εξοπλισμένο με ο.τιδήποτε θα μπορούσε κανείς να χρειαστεί. Το κατάλυμα ειναι σε αριστη κατασταση, καθαρό και η συμπεριφορά των ιδιοκτητών υποδειγματική. Με διαφορά το καλύτερο πακέτο "καταλυμα-εξυπηρετηση" που έχουμε ζησει. Οι ιδιοκτήτες γελαστοί, εξυπηρετικοί και ουσιαστικοί. 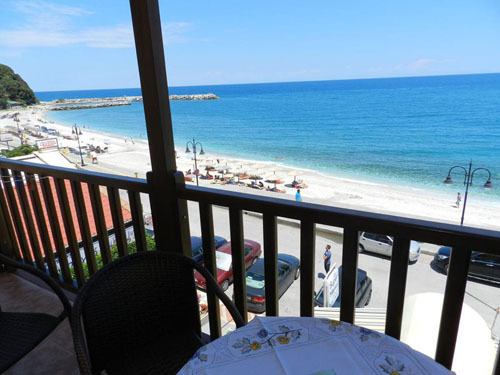 Everybody who travels to Pelion should know that everyday routine requires a lot of driving as the villages in the area are not compact and everything is scattered. The same goes for Adilon and you need a car to move around the area. This is a unique area with woody mountains, clear beaches and spring water that runs into the sea making it refreshingly cool and pleasant for swimming. Adilon proved to be a great choice for the holiday as it was spotlessly clean with sheets and towels changed and room completely cleaned every day. Litsa, the hostess, is a women with vibrant personality and great character, and she was there to meet our every need,answer every question and give a good advice regarding the beaches, tavernas and places to visit. We had a marvelous time at Pelion area. 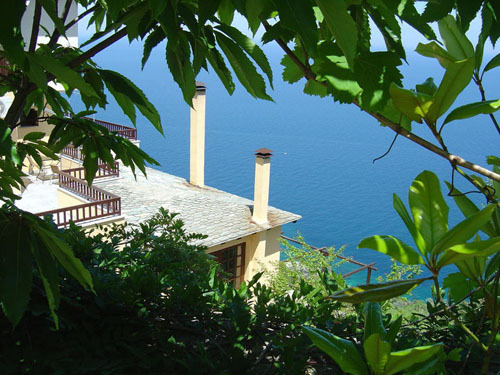 Centaur Villa is a luxury villa in mount Pelion that consists of 4 Queen Bedrooms that offer stunning sea views of the Aegean Sea. 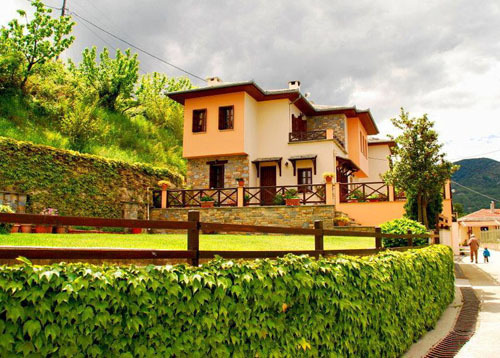 The newly constructed villa has a modern design and it has been beautifully decorated, with very high quality furniture, and hand-made works of art. It offers spacious rooms for up to 8 adults & 2 children with a beautifully designed outdoor area, keeping the traditional design of Ah Giannis village. 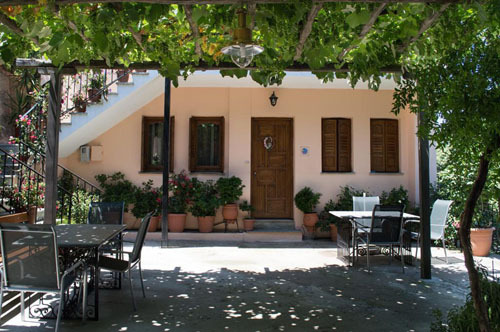 Benefiting from the prime location, Centaur Villa features direct access, just a few steps away, to the crystal clear blue waters of Papa – Nero beach the central beach of the village, the villa is semi self catering with full afternoon maid service. The staff is amazing, the view is like a dream, on clear nights you can see the milky way. The fireplace is very romantic and adds to the atmosphere. 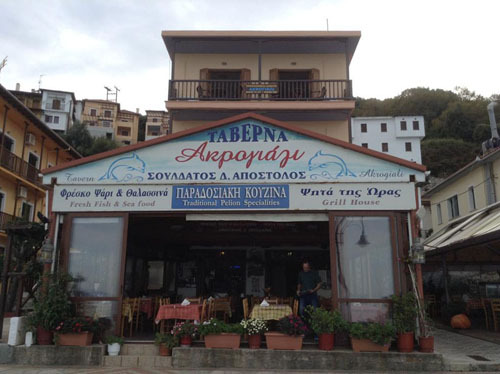 There is a lovely beach near-by and Pelion has amazing hiking opportunities. Breakfast on the balcony is dreamy. 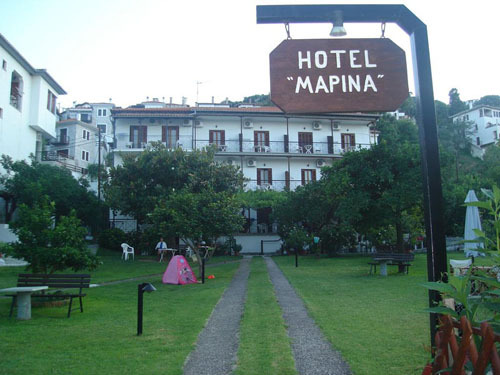 Very nice small family hotel with taverna. Excellent location, very nice and friendly hosts, one of the best restaurants in the city, great for a holiday! Great view, nice location, clean room on arrival. Great scenery and lots of beautiful plants and flowers all around. Are you a lodge owner?